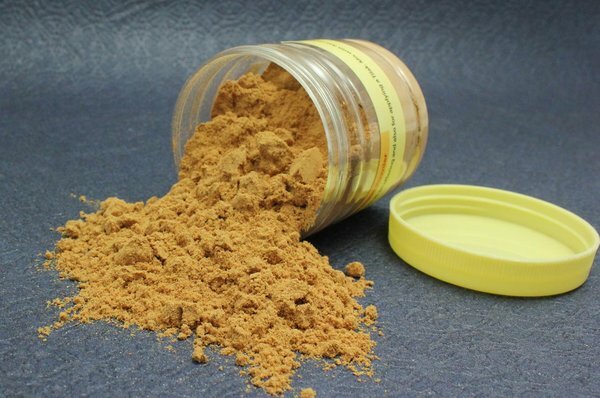 Skin ke liye sandalwood powder ke many uses hain. Ise chandan bhi kahte hain. Aap skin fairness ke liye chandan powder use karen. Iska mask banakar apply karne se surprisingly affects milte hain. Ye skin ko smooth aur acne se free karta hai. Iske uses se scars aur blemishes bhi remove ho jati hain. Is powder ko regularly use karne se skin ko maximum benefits milte hain. Sandalwood powder ko Ayurved me excellent beauty ingredient ke roop me use kiya jata hai. Ye natural, reliable aur effective bhi hai. Ye usually brown-beige color me milta hai. Iska oil bhi various skin ailments me use kiya jata hai.Chandan me wide range of medicinal properties hoti hai. Is powder ko many skin conditions me home remedy ke roop me use kiya jata hai. Ye antiseptic property wala hota hai.Isse hum pimples, acne and sores se nijat dilati hai. SKin ki dier aur dust jo skin problems ki growth karte hain unhe reduce karte hain. Sandalwood powder me milk mix kar is mixture ko face par apply karen. Jab skin sebum aur excess oil produce karti hai to skin me impurities, dirt aur germs, skin pores me aane lagte hain. Ye skin se oil aur sebum ko remove karta hai, jo pimples ka reason hai. Is powder ki anti-bacterial properties acne-causing bacteria se fight me help karta hai. Isse hamari skin flawless dikhti hai. Chandan oil dry skin ko heal karne me helpful hai. Ye oil skin problems ko cure karta hai. Iske uses se skin supple, soft ur moisturised karne me helpful hai. Dry skin ko moisture ki jarurat hoti hai aur chandan powder ise easy banata hai. Ye skin pH balance karta hai. Is method ko aap best results ke liye everyday use karen. Blemishes ka main cause pimples, acne, rashes, injuries and other skin problems. Ye skin me marks leave karte hain. Sometimes ye marks permanent bhi ho jate hain. Sandalwood powder spots aur stubborn remove karta hai. Chandan powder warts ko bhi remove karne me helpful hai. 1 tbsp turmeric, 1 tbsp sandalwood powder. apply it ragular remove blemishes. Chandan powder me anti-oxidants aur anti-ageing property hoti hai. Isse ye blood circulation ko improve karta hai. Ise use se toxins remove hone lagte hain. Ye skin ko bright karta hai. Uska skin tone clarify karne me help karta hai. Isko apply karne se skin me cooling feeling aati hai. Ye fine lines appearance ko reduce karta hai. Healthy skin ke liye exfoliation bahut jaruri hai. Ise natural products use kar effective results paa sakte hain. Chandan powder me chickpea powder mix kar use kar sakte hain. Ye powder skin ko younger looks deta hai. dry hone par wash with cold water. Jab aap regular chandan powder use karti hain to ye skin glow improve karta hai. Skin me brightness increase hone lagti hai. Hamari skin soft aur glowing dikhtoi hai. wash with cold water for radiant skin. Chandan powder me soothing property hoti hai. ye prickly heat cure karne me help karta hai. Aap ise face packs me use kar skin ko brighter banane me help karta hai. Isse skin naturally glowing banti hai. Sandalwood oil ek active ingredients hai. Iski anti-inflammatory property ke karan acne aur sunburn ki burning sensation se nijat milti hai. Iska oil insect bites or any other skin wounds ko treat karta hai. Prickly heat excessive sweat ke karan hoti hai. Chandan powder is sweat ko reduce karta hai. Isse skin me cooling effect aata hai. Jo fine lines ko bhi remove karta hai. Chandan powder hamari skin ko allergies aur breakouts se cure karta hai. Ye skin astringent ka kaam karta hai. Ye hamare skin pores ko tight karne me helpful hai. Ye oily skin ke liye super beneficial hai. Skin ko cool karne me help karta hai. Ye skin ke contact me aane par use tighten karne me helpful hai. Isse excess oil bhi remove hone lagta hai.SKin se dirt aur bacteria remove karne me help milti hai.